For parents of a child who has stress and anxiety issues it can seem like a weighted blanket has magical properties. Once a weighted blanket or vest is put on an upset child the deep pressure can bring calm and reduce stress. A weighted blanket typically has quilted pockets filled with heavy plastic beads called poly pellets. The sensation can feel similar to the lead aprons dentists use to protect patients from exposure to x-rays. Of course it’s not really magic that brings a sense of comfort, but science. The weight from the blankets or vests taps into what occupational therapists call “deep pressure input.” The weight helps to regulate the nervous system and can override the “fight-or-flight” responses. Heather Forst, a Gillette occupational therapist, has used weighted blankets and vests with her patients for years and says the tool is useful for a variety of people. “It can be helpful for people who have autism, cerebral palsy, Rett syndrome and general anxiety,” Forst suggests. 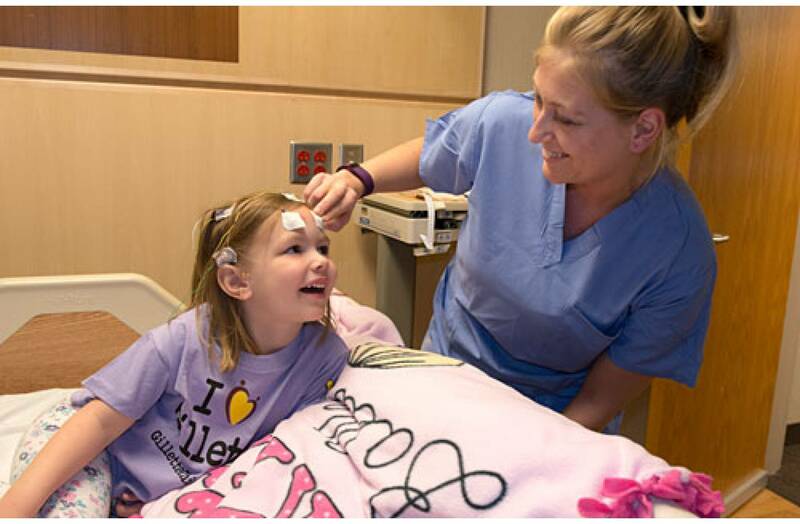 “We also use them with our inpatients who have traumatic brain injuries. Some situations can cause them to feel a lot of stress and cause them to feel like they want to run out of the situation—the fight-or-flight response. 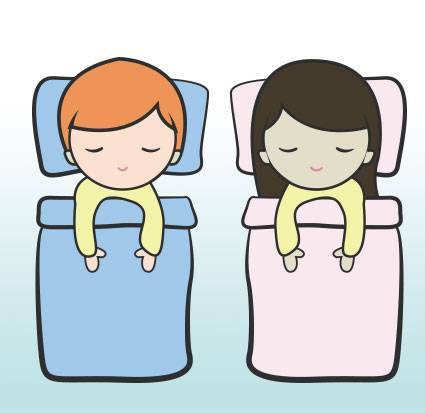 So we use the weighted blankets to help calm and organize the child’s central nervous system,” Forst says. Weighted blankets and vests are generally not recommended for children under 18 months. The weight of the blanket could make it difficult for small children to change their position and, as a result, there is a danger of suffocation. It’s also important to use a blanket with the correct amount of weight for your child. In general, occupational therapists recommend blankets should only be as heavy as 10 percent of a child’s body weight plus one or two pounds. For example, a 30-pound child should use a blanket that weighs about four or five pounds. In general, children should wear weighted blankets or vests for only 15 to 20 minutes at a time. A weighted item can lose its calming effect if you leave it on the body for too long. A child’s sensory system needs to rest and it’s important to wait an hour or two before using the weighted items again. Forst recommends parents interested in using a weighted blanket or vest talk to an occupational therapist first.“The blankets are a little pricey so it’s probably better to try it with a doctor or therapist to see if it’s something that will work with your child,” Forst says. Gillette has weighted blankets and vests that patients can try during a therapy session. A therapist can provide information on how to purchase or make a weighted blanket or vest.